If you have ever tried to decorate or refurbish an older home, you know that a perfectly square angle is rare at best. Houses settle and time can make corners and windows slightly more or less than 90 degree angles. Other homes might have unusual windows with intentionally different angles. All of these give homes great character, but when it comes time for window treatments, designers and homeowners are puzzled. 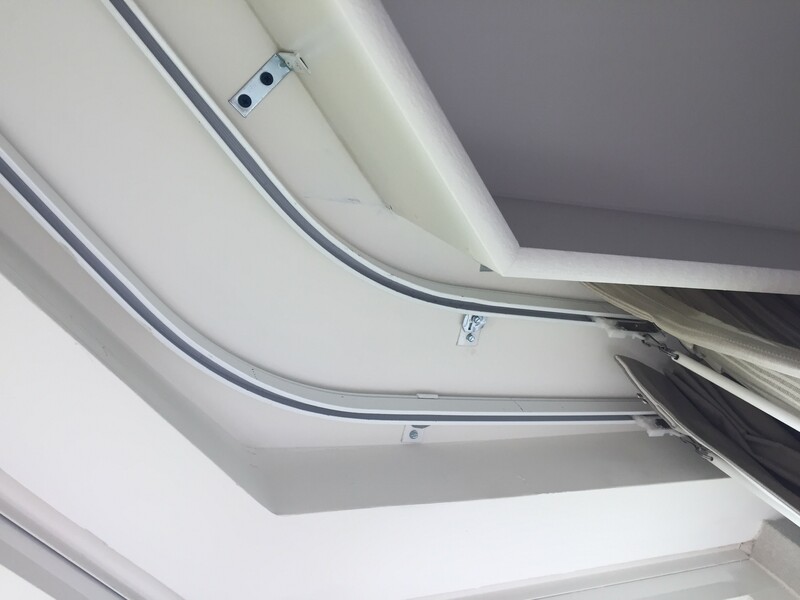 Bob Vila probably has lots of great DIY tricks to help with renovating odd angles, but Curtain-Tracks has an even easier solution: our flexible 6100 curtain track. Homeowners can be happy that there are simple ways to hang curtains on each window in their home. Whether it is Grandma’s old house, a new house that has settled, or even in a hotel, our flexible curtain track will give you a custom look without the custom price. Curtain-Tracks Reader, Kendra, sent us this photo of her recent hotel stay. Her room was wonderfully quaint and had a boutique style. The windows immediately grabbed her attention because they were an unusual shape. One of the windows was tucked into a corner of the room that served the purpose as a reading nook. Rather than leave the unique style of this space bare, the hotel designer used a flexible curtain track to add even more excitement to the already interesting part of the room. It allowed them to be creative and functional at the same time! 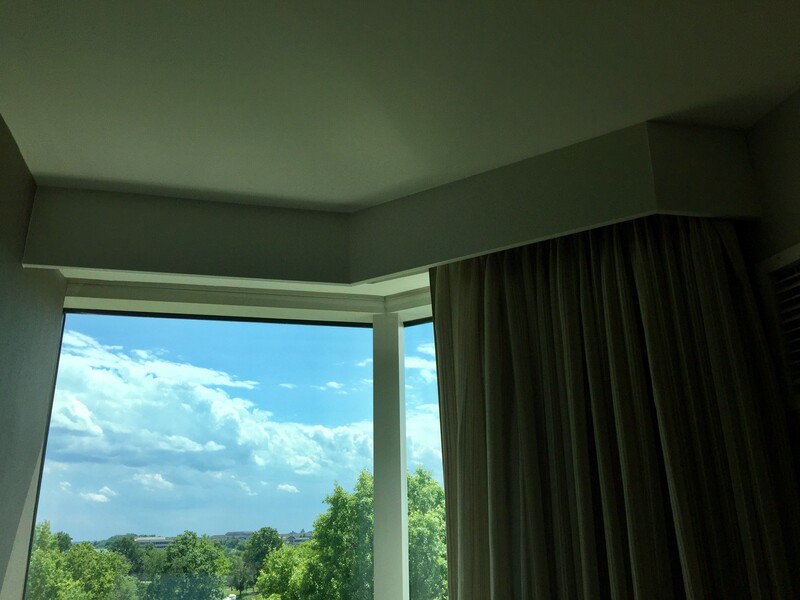 In this particular space, if the designer would have tried to use two traditional straight tracks, they would have had quite the headache getting them to line up perfectly in the corner, and the hotel guests would have had an annoying gap of light between the two separate curtains. Instead, the designer was able to simplify the solution with the 45 degree corner. They used the 6100 track to make one smooth track with no gaps and one large curtain. That means no gaps nor annoying light coming through, and no struggle during installation. Because our flexible curtain track can be bent by hand, the only measurement you need to order is the length. Once the track arrives at the doorstep, two hands are the only tools needed to get the right angle. Then, only a screw driver is needed for installation of the mounting bracket. Easy! Custom! Affordable! A pretty great collection of adjectives, if we do say so ourselves! Check us out at www.Curtain-Tracks.com today to put the finishing touches on your own boutique window. The flexibility of our flexible curtain tracks is just awesome; try it out for yourself!